RANCHO SANTA MARGARITA, Calif.--(BUSINESS WIRE)--New clinical evidence demonstrates the value of Applied Medical’s Alexis wound protector/retractor in pancreaticoduodenectomy (PD) procedures, also known as Whipple procedures. A study published this month in the Annals of Surgery showcases a significant reduction in PD surgical site infection (SSI) when the dual-ring Alexis wound protector/retractor was used. The Alexis wound protector/retractor lowered incisional SSI in PD procedures by 52 percent compared to cases that did not utilize a wound protector. Applied Medical is dedicated to providing innovative solutions that enhance patient outcomes and enable the advancement of minimally invasive surgery. As a new generation medical device company, Applied Medical is proud to have a significant and sustainable impact on healthcare by delivering breakthrough technologies that enhance clinical care and satisfy the pressing economic needs of our customers. Applied Medical is committed to being a part of the overall solution to reduce SSI through research, education and awareness. The company has developed stopsurgicalsiteinfection.com as a comprehensive resource for healthcare professionals to learn more about the prevention of SSI. Founded in 1987 and headquartered in Southern California, Applied Medical is a rapidly growing, global organization with approximately 4,000 team members. We are proud to provide our products and unique business model to more than 75 countries. 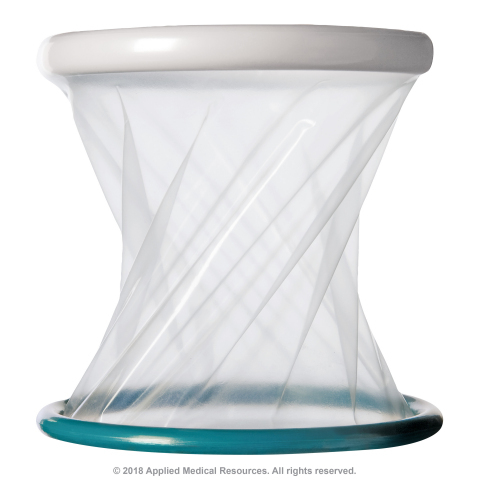 New clinical evidence demonstrates the value of Applied Medical’s Alexis® wound protector/retractor in pancreaticoduodenectomy procedures.